Picture a Day - The Holy Land Revealed: A Picture a Day -- Who Are These Soldiers and Where Are They Guarding? A Picture a Day -- Who Are These Soldiers and Where Are They Guarding? 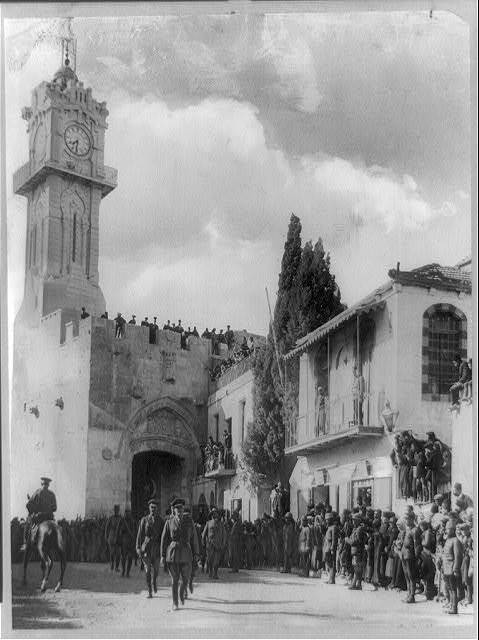 When Gen. Allenby captured Jerusalem (and here) in 1917, the British didn't realize the trouble they would face for the next 30 years. Many Arab groups (they were not called "Palestinians" at the time) were unhappy over the British alliance with Emir Abdullah (later King Abdullah of Transjordan). Time and again, the Husseini clan, led by the Mufti Haj Amin el Husseini, terrorized competing clans and protested against the Balfour Declaration and Zionist activities in Palestine. In 1920, 1922, 1929, and between 1936 and 1939, the Arabs carried out terrorist attacks against British government and business establishments as well as Jewish communities. In contemporary terms, compare the situation to the terrorism and assaults waged against US and NATO troops in Iraq and Afghanistan. 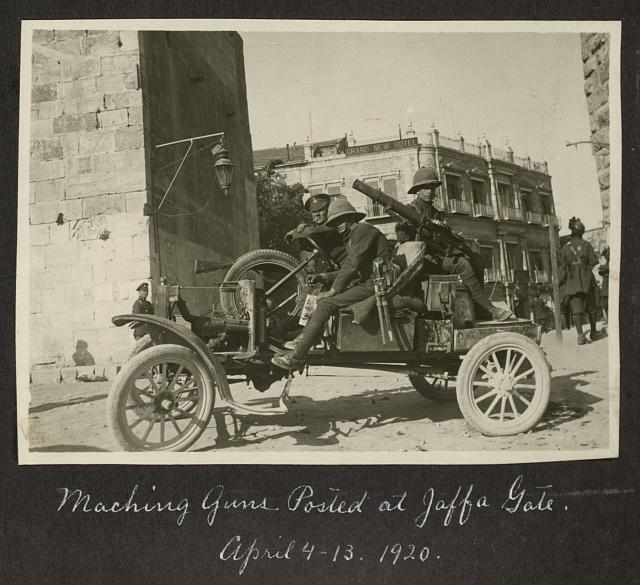 ﻿These British soldiers (picture top right) were posted at the Jaffa Gate in Jerusalem in 1920 to guard against Arab attack. 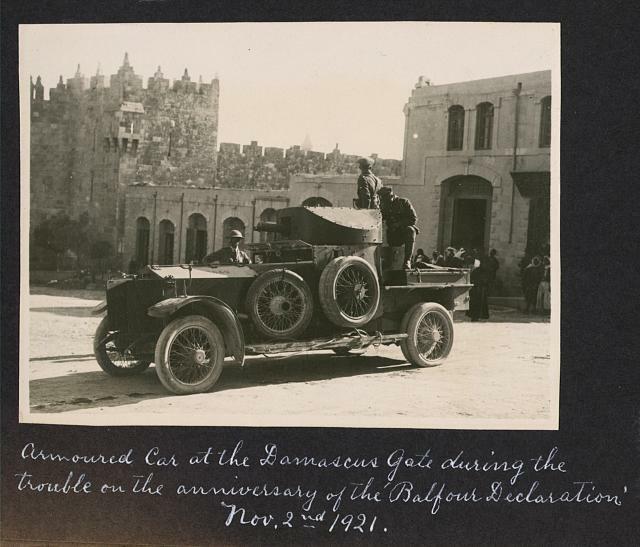 A year later, the British army posted this armored vehicle at the Damascus Gate (picture to the left) to control demonstrators protesting the Balfour Declaration.